NEW DELHI, 5th October 2018 : The 2018/19 season of the I-League is around the corner and is set to feature as many as 11 teams this time around. Playing their third campaign in a row will be Chennai City FC and will be hoping to improve upon their showing from last season, where they finished in eighth place. Leading them for the upcoming challenge will be Singaporean coach Akbar Nawas, who was roped in by the club in March earlier this year and was also present at the touchline during Chennai City’s Hero Super Cup campaign. This is Nawas’ first stint as coach in India and he has previously led teams in his native Singapore as well in the Philippines in the form of Tampines Rovers and Global Cebu respectively. Welcome to India! What are your team’s targets for the upcoming campaign? Our target is to win every game that comes along, taking one game at a time. With that, let’s see where we will end up on the table at the end of the season. As professionals, my players must set out to go and win every game, and consequently, they must reflect upon themselves if they draw or lose a game. How would rate your team’s pre-season? Are you satisfied with the way it went? Facilities were an issue for the team in pre-season. For example, the playing field was far from ideal as it was undergoing repairs. Playing only two matches so far does not suffice for pre-season preparations. However, it is what it is and we have to adapt. Your thoughts on the team’s new signings? They have assimilated well into the team and our playing system. We are expecting them to do well. What are your thoughts on the Indian players at your disposal? Which youngsters in your side excite you the most? They are talented I would say but still raw. With time and coaching, they will improve vastly. As far as the youngsters are concerned, they still have lots to learn and grow. However, Ajith (Kumar) is one to mention though. You have played against Indian teams before in the past. What has your perception of Indian football been over the last few years? Has it changed in recent times? Yes, it has definitely evolved judging by the national team’s progress and achievements. Everyone can see how much they have improved. The influx of the foreigners and investments has garnered much interest in the footballing scene which elevated the level of Indian football. How has it been so far living in Tamil Nadu? It’s been challenging yet engaging in a different environment to where I’m from but it’s nice here in Tamil Nadu and the food is great. Language has not been a barrier as most locals, if not all, speak English. What style of football will we see Chennai City play this season? Definitely a possession-based style with balance in attack and defence. 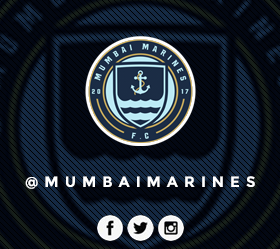 What is your message for the Chennai City fans ahead of the new season? Come and support us, it’s vital that the fans create an atmosphere that would motivate the team to perform above themselves. Raymond Verheijen tours India for the 2nd Edition of the Football Forward programme.